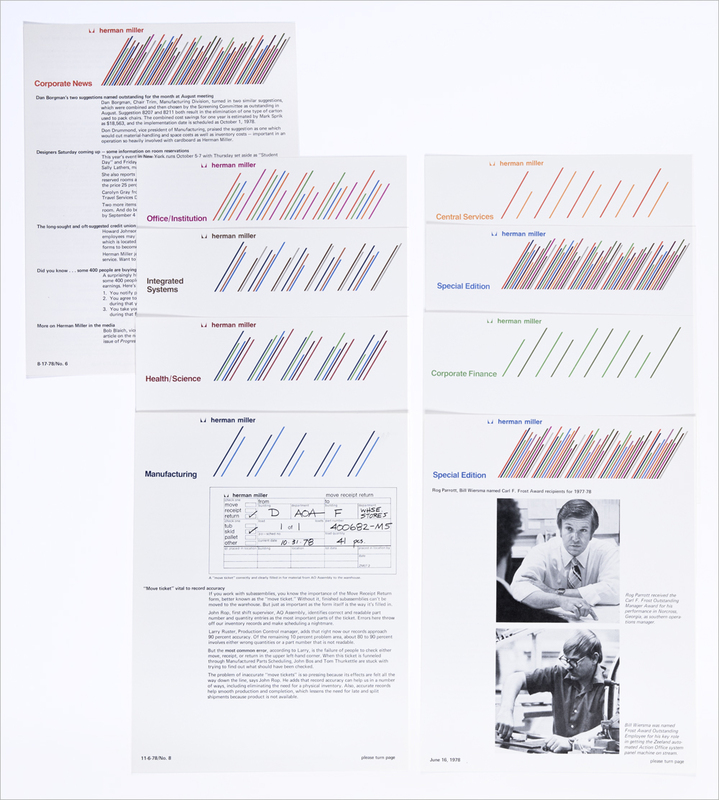 Series of 9 internal newsletters for Herman Miller using corporate colors for each version. Corporate and Special Editions utilized all 12 corporate colors and each area of the company utilized a smaller selection of colors that were specific to that particular area. Nameplates were pre-printed then imprinted one color as needed for distribution. Techniques Offset printing, up to 12 spot colors.